Chaffee County, Colorado Horse Directory - O Horse! You know Julie Goodnight as The Horse Master on her new RFD-TV television show. Through her varied background — riding and training horses in dressage, jumping, racing, reining, colt-starting, versatility ranch work, and wilderness riding — Julie has discovered underlying principles important to any type of riding. She communicates clearly with horses and riders in any discipline and at any level. Julie travels coast-to-coast — and beyond — throughout much of the year to help horses and riders at horse expos, conferences, clinics, and while filming for her television "makeover" show. Julie has been featured in the top equestrian publications, including Western Horseman, Horse & Rider, Equus, Perfect Horse and America's Horse. Her syndicated columns appear in over 15 regional publications throughout North America. 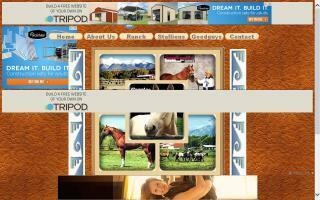 Her interactive websites, juliegoodnight.com and horsemaster.tv reach an even wider audience. Julie is also the International Spokesperson for CHA. Breeding and raising Quarter Horses in Colorado for over thirty years.